Review Summary: Timeless, emotionally relatable and in some ways quite ahead of its time, Wish You Were Here exists as one of the most essential progressive rock albums ever conceived. It’s safe to say that everyone has the fear of losing a friend that is near and dear at some point. Whether it be from death or by losing one in other ways, no matter how the dreaded event happens everyone always has different ways of coping with it and Pink Floyd used music as the outlet for recovery. In addition to being a critique of the music industry, Wish You Were Here boasts a long, two part epic devoted to recalling memories they had of Syd Barrett before his eventual mental breakdown and paying tribute to him. By extreme stroke of luck, he paid them a random visit during the recording of this album and sadly, none of the band members recognized him even in the slightest at first. This further emphasized the point they were trying to make here and really gives meaning to the real and timeless nature of this record. It’s chilling, emotional, passionate and truly deserving of every ounce of acclaim the record has received over the years. Essentially, Wish You Were Here exists as one of the greatest achievements in progressive rock as a whole. This epic mentioned above proves to be the beloved classic known as “Shine on you Crazy Diamond.” Split into two parts, absolutely none of this song happens to be even close to disappointing and it lives up to the immense hype surrounding it. Part one continuously builds as the ambience rages on, leading up to a soothing guitar solo and those four guitar notes that have the ability to stop any crowded room in their tracks because of their effectiveness. However, once the passionate vocals about the band’s dear friend comes in, the payoff of this build up becomes devastatingly clear. Anyone who has the lovable relationship with a friend where you constantly insult each other would realize how beautiful the phrase “Shine on you Crazy Diamond” proves to be. Insulting and yet showing more love for their friend than they could ever dream of, the lyrics of this song without a doubt hits home on a relatable and emotional level. To close out part one with brilliant saxophone work happens to be an exceptional touch too. Make no mistake that part two never backs down at any point much like its first half. Boasting even more soaring guitar work and breathtaking musicianship, the unique layers of everything going on soon recalls the endless sadness and desperation the band exhibited in part one by repeating the chorus. They truly miss their “fallen” comrade, cry out for him and wish him well because they know the man they once knew could very well be gone forever. The song could nearly move the listener to tears because of how relatable this proves to be. The “what if” factor of this epic really comes to mind and how the listener would deal with something like this happening. The overall mood of the title track also happens to be the same with its iconic instrumentals providing endless enjoyment and lyrics about…well…wishing Syd was here, creating an emotionally stirring vibe. However, despite all of the love for Syd on Wish You Were Here, this record also exists as a timeless critique about the music industry as a whole with “Welcome to the Machine” and “Have a Cigar” being sandwiched in between everything else. Even after all of the praise mentioned for “Shine on you Crazy Diamond,” the one song that stands out the most on the record would definitely be “Welcome to the Machine.” The wow factor of this track certainly isn't in short supply and if a song were ever to be considered way ahead of its time, this would be it. Boasting ghostly synthesizers, rock solid atmospheric production and broken vocals, “Welcome to the Machine” truly chills the listener to the bone with fantastic lyrics and a dark mood to top everything off. Consisting of solely acoustic guitar work, exceptional bass work, epic drums and the one of a kind synthesizer sections, the song exists as one in the million and nothing else like it. While “Have a Cigar” is certainly not as amazing as its predecessor, it definitely exists as the catchiest song on the album. The synthesizers are scarce, but used quite well once again and is undeniably due to the catchy lyrics and instrumentation. Perhaps the most impressive part about Wish You Were Here is how it was recording in 1975 and yet, it manages to sound like one of the most timeless records ever created. “Welcome to the Machine” sounds like it could have been recorded yesterday and the lyrical content hit home on the most relatable level possible. The undeniable passion the band had while recording this behemoth of a record is without a doubt easy for one to manifest and it hits hard in more ways than one. Anyone who has a love for progressive music that hasn't heard this beautiful record yet is missing out. It proves to be one of the most essential progressive rock albums out there and it makes the listener do what some of their equally influential colleagues fail to do: Feel on a deep level. Really wanted to do this for a while now so here you go. Hope everyone enjoys the read! "...it makes the listener do what some of their equally influential colleagues fail to do: Feel on a deep level." this is what made them great. good way to end the review. Great review Mongi, ghost pos. It was about time this had a contrib/staff review. It's an awesome feeling, being the only one on Sputnik who hasn't jammed this album yet. It really is. You needed to make this to balance things out haha. posted days before I was gonna do it lol anyway this was fun and cathartic to write. 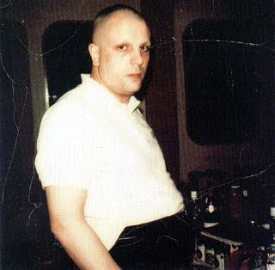 "Syd Barrett . . . By extreme stroke of luck, he paid them a random visit during the recording of this album and sadly, none of the band members recognized him even in the slightest." I didn't know that, very interesting--and sad. really since half the album is dedicated to him. Yea man, really sad. One of the members was reduced to tears when they saw him he looked so different apparently. He looks like an old man. No wonder they didn't recognize him. Not that other artists like King Crimson(which I love a lot), Yes and Camel aren't great, I feel like PF did this with almost all of the records I've heard from them a lot better than them. Especially this one. Absolutely. Floyd were much more powerful in terms of emotion than King Crimson and Yes. Camel weren't too far off in that regard though, with (parts of) Moonmadness and The Snow Goose.